The median home value in Albuquerque, NM is $83,750 This is lower than the county median home value of $175,800. The national median home value is $185,800. The average price of homes sold in , is $. Approximately 27.42% of Albuquerque homes are owned, compared to 18.83% rented, while 3.75% are vacant. Albuquerque real estate listings include condos, townhomes, and single family homes for sale. . Commercial properties are also available. 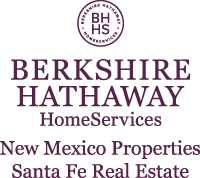 If you see a property Albuquerque real estate agent to arrange a tour today ! Spacious 1 bdrn Condo: Very secure, entirely renovated from top to bottom; spectacular granite counters w/ under-mount sinks - contemporary hand-built cabinetry, new high-end kitchen appliances, new doors & door hardware, new energy efficient sliding patio doors, new bath hardware, contemporary lighting, high-end ceiling fans w/ lighting - professionally painted walls, ceilings, doors and trim - cathedral ceilings w/skylight clear story! Mountain views from bedroom. Plus a huge storage closet that can be converted into additional living space or a second bedroom. Reasonable HOA fees that include a club house, pool, common area maintenance, several courtyards, laundry, BBQ area and more. Come see me! Upscale Pulte townhome offers open living, dining, kitchen & half bath downstairs + 3 generous Br's & 2 full Ba's a loft area and laundry room upstairs. Tasteful colors, tile in wet areas, Refrigerated Air, full kitchen pantry & 2 car garage. Located within a gated community that includes clubhouse, gym & park. Strategically located to take advantage of Mountain views, extra parking & across the street from the club house & mail boxes. Lot was a $15K upgrade! Close to UNM, Kirtland, Sandia Labs or I-40. Green Energy Star rated with tankless water heater, high efficiency furnace, extra insulation & innovative building techniques. The use of space & closets are brilliant & the side yard is perfect 4 outdoor entertaining. Easy Irrigation/low maintenance yard. This One Owner Home Is Nice! Pride of Ownership is evident . Move in ready. A Must See. .This is an outstanding home with 3 well-sized bedrooms, 1.75 baths, 1 car garage, spacious living room , beautifully done fireplace with banco, skillfully laid tile , attractive updated light fixtures, wonderful landscaping with mature trees and much more. Convenient location and walking distance to parks,restaurants, shopping, and much more. 2 Story Splendor with Mountain Views! Stacked stone accents on the outside with more attention to detail on the inside, you won't want to miss this home! Fabulous family room with cozy fireplace, opens to a chef's delight kitchen, complete with stunning counters and backsplashes, and open sunny dining area. Grand owner's suite includes romantic dual-sided fireplace facing both the sleeping quarters and garden tub, plus an oversized walk-in closet. Spacious secondary bedrooms, plus 2nd living area/upstairs loft that is 20x14 with a unobstructed view of the Mts. Arched doorways, decorative lighting, ceiling fans and art nichos enhance the charm of this remarkable home. Backyard is perfect for relaxing or entertaining with built-in grill & fireplace for those chilly NM nights. nice single story home in a great neighborhood! come take a look today! Charming townhouse with convenient access to major thoroughfares, shopping, restaurants, walking trails, a dog park, and Ladera Golf Course! Many quality upgrades: newer energy efficient windows, high capacity evaporative cooler, dishwasher, refrigerator, garage door, garage door opener, security screen doors both front and back, and security window bars on front window. A solar tube in the kitchen provides natural light, and the full bathroom has been partially updated. Come see today! Amazing Opportunity for this single-story charmer, ideally situated on a .25 acre lot! Wonderful open floor plan affords: 3 bedrooms, plus a private sitting area off the master which could be used as a possible office or flex room. Chef's kitchen features tons of cabinets and counters space, breakfast bar, large pantry and opens to Large living room with high ceilings. Decorative lighting, ceiling fans, and arched doorways enhance the appeal of this home. Bright, and light the separate dining area leads to outside covered patio. Grand master's suite, with over-sized walk-in closet, dual sinks and separate garden tub. Bring your imagination... this large backyard is ready and waiting for whatever your lifestyle desires. Convenient west side location! Phenomenal Million Dollar Views will be yours every day! This majestic home sits on an incredible elevated wood lot backing up to the Sandia forest line in Sandia Heights! Floor to ceiling windows invite you to revel in and enjoy the most vibrant and extraordinary views across the sweeping foothills of the Sandia Mountains on the east, to the panoramic sunsets and night lights of Albuquerque on the west. Natures playground of wildlife visit year round. Deer, rabbits, quails, eagles, a variety of birds, squirrels and other animals, will entertain you right from the balcony or yard. Close to shopping, restaurants, trails, mountain biking,Tram and I 25. Four+bedrooms, 3 baths, 2 Living areas ,4 car garage. 2 custom fireplaces AND one 3 sided fireplace. PLEASE READ SUPPLEMENT!! SO MUCH MORE!! **Pics will be uploaded by 4/19/19** Open, airy, bright and beautiful describe this sweet home. High cathedral ceilings frame the fireplace in the roomy living room, two handsome bedrooms with nichos, window sitting areas, lots of storage. The remodeled kitchen has extra counter space, looks out to the dining & living area. Soothing colors and good flow make this home a real treat. Updated with refrigerated air! An easy to maintain backyard with great views of the mountains tops it all off. Fantastic neighborhood and location. Easy access to shopping, schools, amenities. Home needs some work and updates however has great potential. Spacious rooms, huge living area with fireplace, spacious kitchen, huge yard with pool! This is a a great fixer upper that you can occupy while you update! Come take a look! Property being sold as is. This one-of-a-kind property provides absolute privacy. Gorgeous, one-owner custom home nestled in the foothills has it all, including spectacular unobstructed city and mountain views. At 4369 SF, there is space for everyone...4 bedrooms, each with its own bath, 3 living areas - 1 with a studio/workout space, spacious master suite with luxurious bath and 2 walk in closets, gourmet kitchen with butler's pantry and huge breakfast nook leading to a dazzling deck overlooking the pool area and incredible city views. This house boasts tons of storage. Lots of outdoor living spaces. Total acreage is 2.11 acres. Sale includes both Lot 54 (1.15 acre) and Lot 55 (.96 acre). Estimated annual tax of $1220 for Lot 55 is paid separately from Lot 54; estimated annual tax for Lot 54 is $5939. Stunning remodeled home. Conveniently located between Downtown & Old Town. Near Shopping, Parks, Breweries,Restaurants,Museums and UNM. Home in the Eighth and Forrester Historic Protection area. 3 Br 2 Ba, Completely renovated from top to bottom. NEW: Electrical, Plumbing, Heating, Refrigerated Air System, Roof, Tankless water-heater, Synthetic stucco, Gorgeous kitchen with white cabinetry, Granite counter-tops, Pella windows, Doors, Bathrooms, Flooring, Stainless steel appliances including refrigerator. Great open floor plan. Very low maintenance yard. Large walk in closet in master-bedroom. Come take a look you will not be disappointed. Talk about a great location! Talk about a great house! Make a good choice to buy this home and get quick access to Paradise Hills Golf Course, shopping, restaurants, schools, churches, and easy access to Paseo Del Norte or Montano. You also have room to spread out and relax with 4 Bedrooms, 3 Baths, and a 3-car garage. Even more... you get a good-sized yard and a covered back patio with room to spare for your back yard barbecues. The spacious master bedroom features a dual-sided fireplace you can enjoy from the bedroom or garden tub. Step out onto the master balcony to enjoy the sights and hot air balloons. Additional features to make life better include a downstairs bedroom, formal dining area, breakfast area, utility room, ceiling fans, stainless appliances, and a beautiful tile roof. This third-floor loft in the Campus Lofts building at The Lofts at Albuquerque High has an east-facing French balcony with stunning views of the Sandia Mountains. The loft features concrete floors, high ceilings, a large open living/kitchen area with Italian Laminate cabinetry, and two divided bedroom areas with closets and 2 baths. A utility closet has a stacked washer/dryer and storage space. Elevator in building. Access to beautifully landscaped secure courtyard featuring fountains, seating and grill. Located in EDo with close access to award-winning locally owned neighborhood restaurants, salons, dry cleaner, yoga studios, and Innovate ABQ's UNM Rainforest building. Close to airport, UNM, I-25/I-40, Railrunner. City-garage parking at 100 Arno, $40/month. Updated and move-in ready DR Horton home. Newer wood grain tile on the entire first floor. Newer appliances and a new dishwasher included. Sleek cordless blinds on every window. You'll have plenty of space with the two living areas, four bedrooms, and loft. Park you cars or store your stuff in the finished two car garage. Easy to maintain landscaping in the front yard. There's a nice park in the neighborhood and the home is close to shopping, food, and entertainment. Also close to open space for off-road fun, and relatively easy access to I-40. This well maintained home is offered as a short sale, and is ready for it's new owners. Driving up to this home you will notice just how close you are to the mountains. This house features new refrigerated air and furnace, 2 living rooms, new carpet, finished 2 car garage, and finely manicured landscaping in the front and backyard.The kitchen boasts new Granite Counter-Tops, double wall oven, and a full appliance package.Enjoy the seamless, lasting beauty of cultured marble walls in both showers. Stone work in the entryway and fireplace remind you of the mountains that are a easy walk away. Large living areas, bedrooms, and formal dining room add to the home's luxurious feel. From the inside looking out you will see gorgeous mountain and city views. Walking, hiking, and biking trails are just a few blocks away. This home feeds into top rated schools.